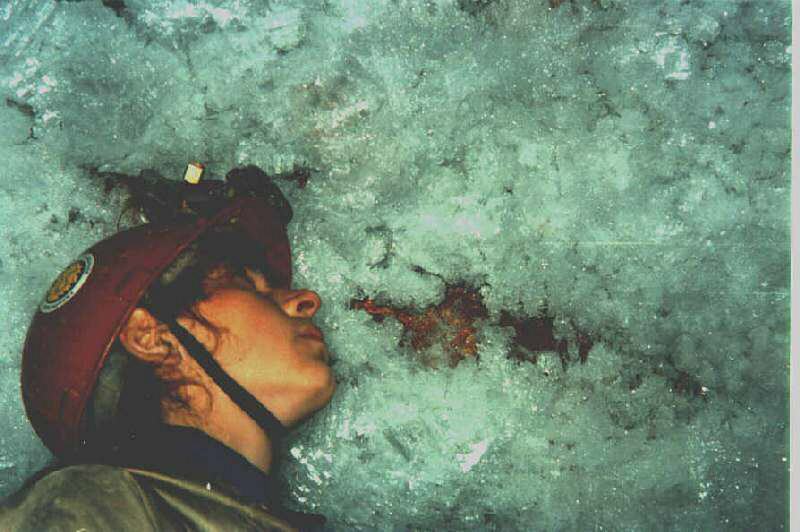 Ice crystals of several years' standing. In some places single crystal can reach 30-40 cm. in width. 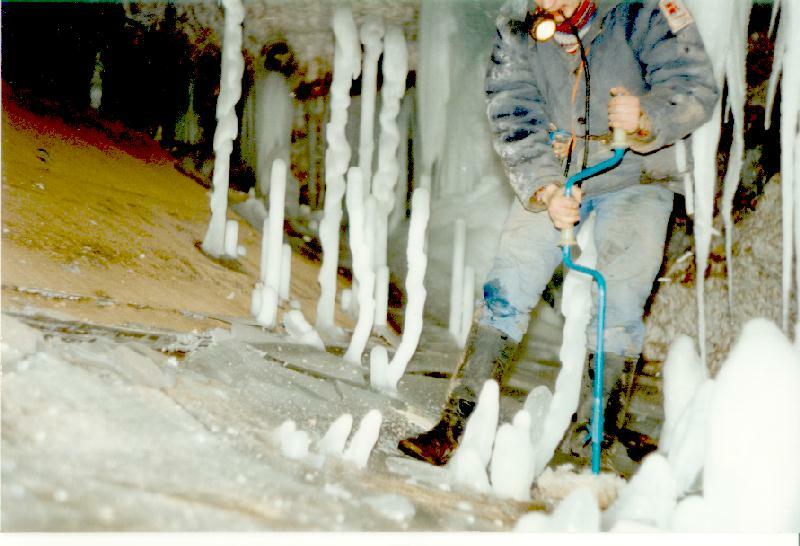 Ice stalagmites on the frosen lake. The longest is 32 cm. long. 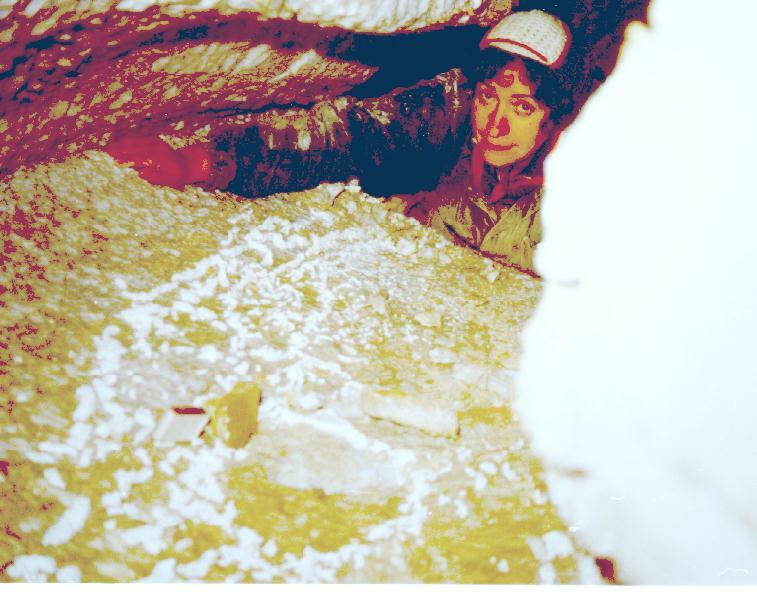 Gypsum "concretion" of glacial origin. 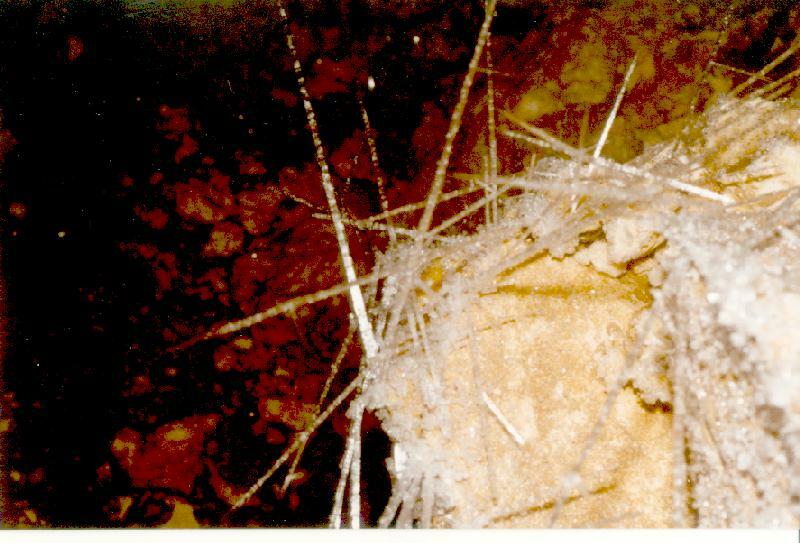 Gypsum needle-like microcrystalls appear due to freezing of high-gypsum water and transform into "gypsum powder" due to sublimation of the ice. In the time of melting of ice, "powder" is concentrated in deepenings in the ice into "concretions" and is left so after ice had melt.